In tournaments, understanding the importance of stack distribution directly informs correct strategy. Learn how to adjust your tournaments strategy when short stacks are on your left or on your right. In poker tournaments, one of the most important things to observe is stack distribution. How many big stacks are on your left? How skillful are these players at using their big stacks well? Where are the short stacks? Are they splashing around too much despite not having proper implied odds? These are important questions to ask yourself as they will inform correct strategy. Poker tables are treacherous places. In order to survive, you must be keenly aware of your surroundings. 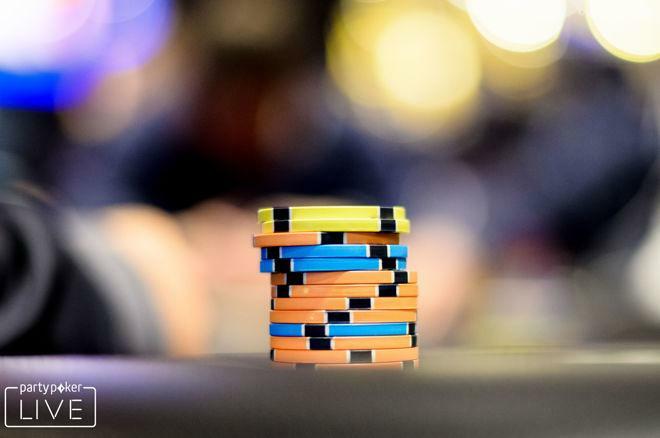 In this series, I will discuss some of the observations I have made about the typical stack sizes in the small stakes multi-table tournaments I play. This week, I will discuss some of the adjustments I make when I am facing short stacks both on my left and on my right. I will define a short stack as 20 big blinds or less. This is commonly known as a "reshove stack," meaning that these guys will be looking to reshove over opens from aggressive players. The key observation I need to make when they are on my left is just how wide they are reshoving. I base this read on how they had been playing up until this point in the game. Tight players don't consider 20 big blinds to be very short and so they don't shove 20 BBs over opens with a very wide range. In their minds, it's too much to shove light, but too little to call opens with speculative hands. This results in them being even tighter than normal. When these guys are on my left, I will continue to open aggressively with blockers, but will only call a shove if my hand plays well against a moderately tight range. Once they get down to under 15 big blinds, they start to get desperate and may reshove light on me. The problem now is that this gives me a good price on a call. I adjust by opening a stronger range and calling if I believe the math dictates it. Loose players tend to treat 20 BBs similarly to how tight players treat 15 BBs. They will be desperately looking for spots to get these chips in, so my adjustment with them is basically the same as before. The only difference is that they may be willing to get it in a bit lighter, so I can raise-call a bit wider than I would against a tight player's 15 BB reshove. Big Broadway cards and pairs go up in value against this player type. When tight players open on my right with 20 big blinds, I am extremely careful. I can't three-bet them and I am not getting enough implied odds to flat them, so I fold most of my marginal hands. One play I like to use in this spot is calling them with my best speculative hands like medium pairs and suited connectors. Even though I'm not getting great implied odds to draw to a big hand, I will float them on most flops with the intention of taking the pot away if they check the turn. If they can double barrel off of that stack size, I assume they can beat top pair and fold if I can't beat an overpair. Meanwhile when loose players open on my right with 20 BBs, I attack them aggressively. Remember they don't consider 20 big blinds to be that short, so they may be opening just as wide as normal. I will three-bet these players with blockers or flat and float them postflop even wider than I do against the tight players. For those with less than 15 BBs, there is not much of a difference between tight and loose short stacks on my right. More often than not, I will only be in hands with them if they shove preflop. The only consideration at this point is figuring out how wide they are shoving so that I can call them with the proper range. Generally, the loose players will be shoving wider, so I can call them more often. One caveat I will mention is to be careful if a short stack on your right limps or raises less than all in. Many times this will indicate a stronger range than if they had just shoved their 15 BB stack. Other times, players may reverse this tell. This is why it is so important to observe your opponents in order to understand their strategy. Next week, I will discuss some of the adjustments I make when I am facing medium stacks on my left and on my right. Flopped a Draw in a Multi-Way Pot: Check or Bet?